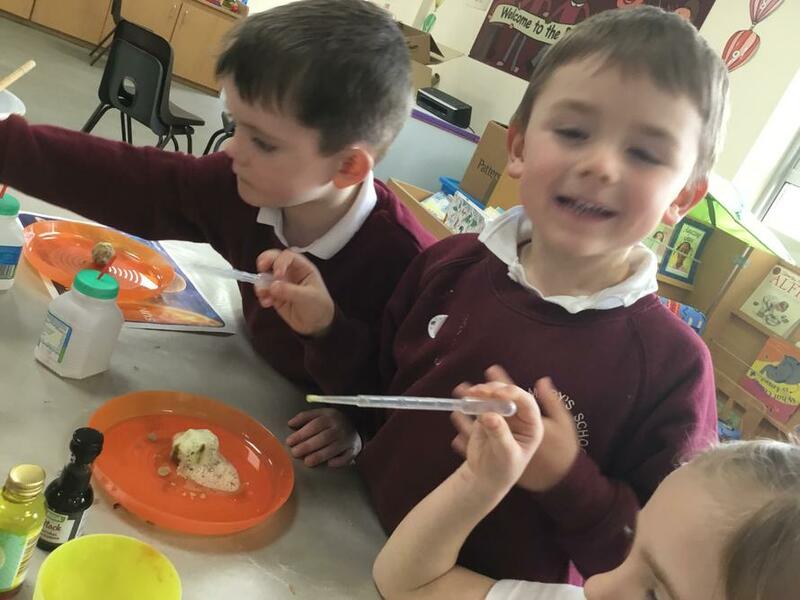 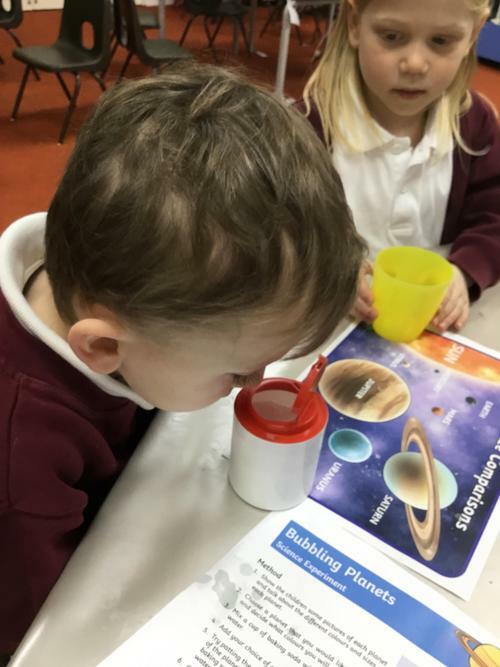 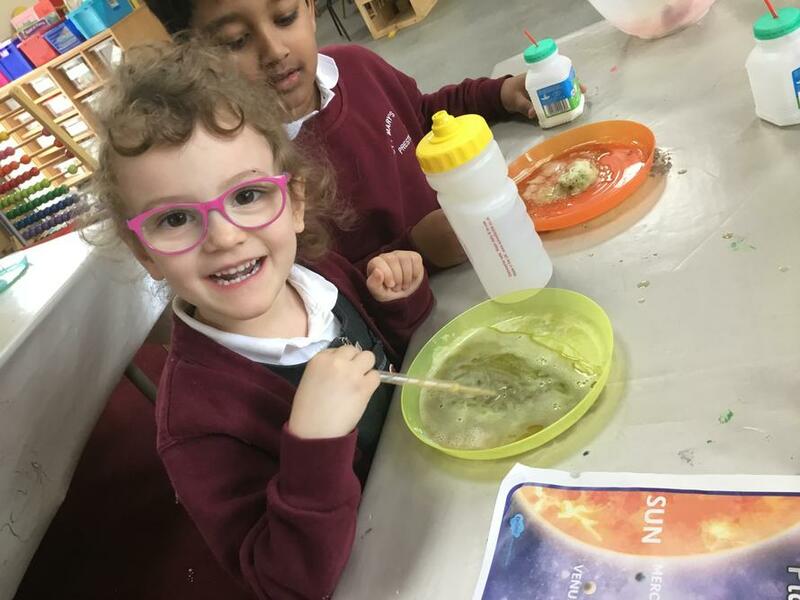 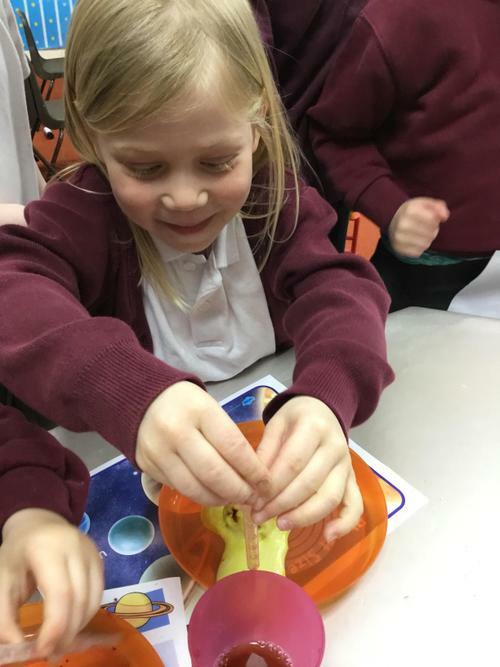 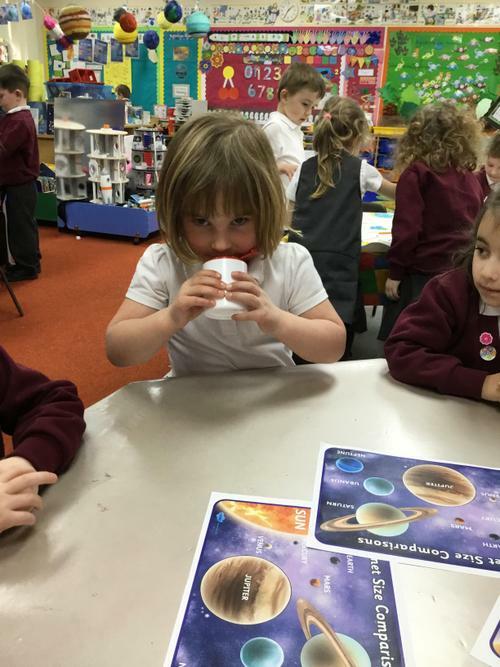 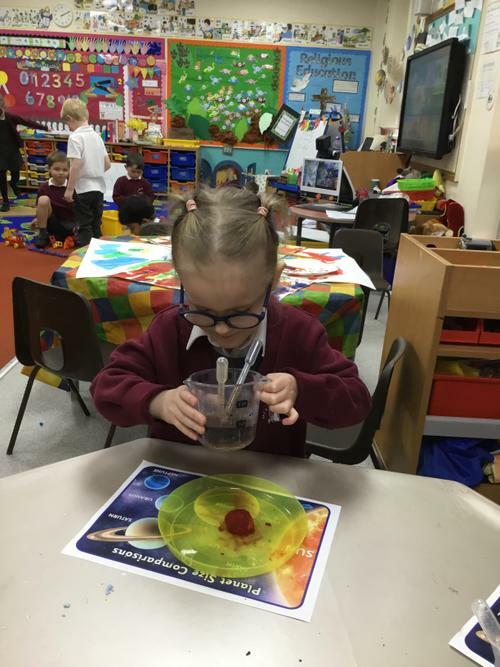 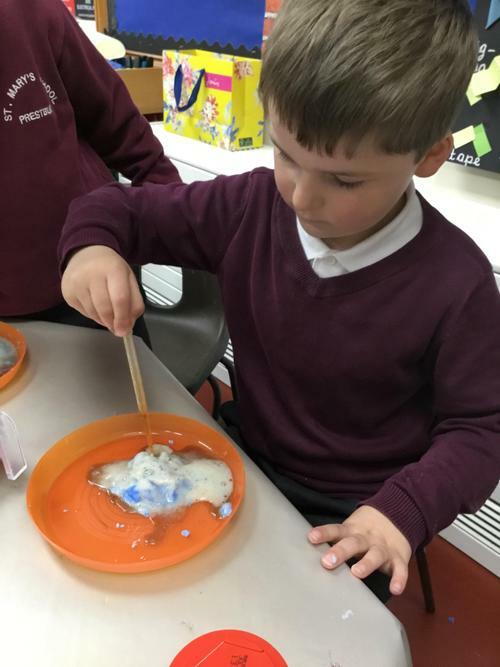 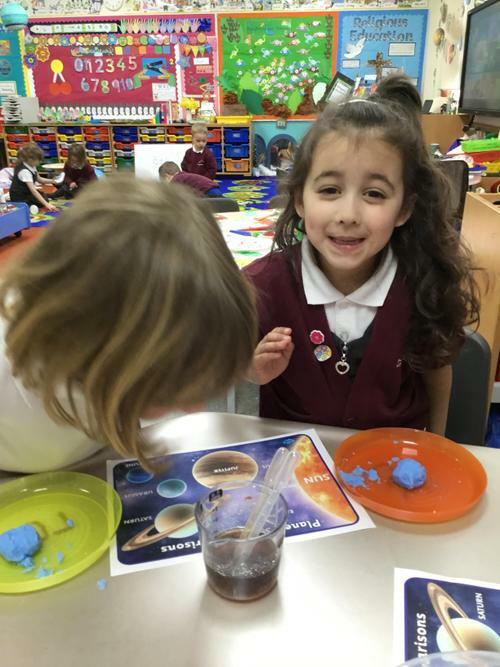 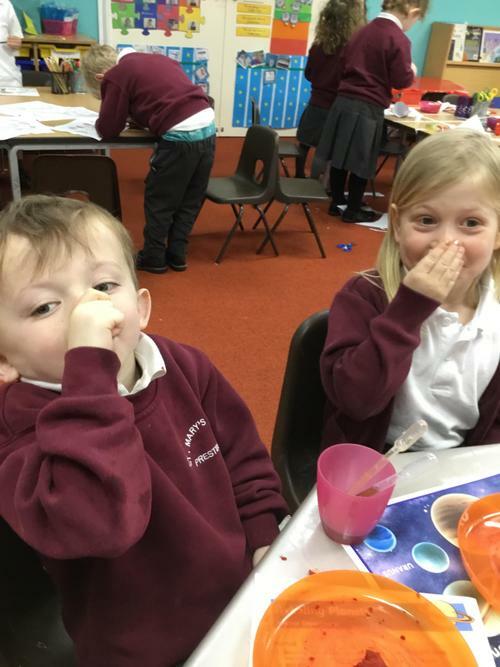 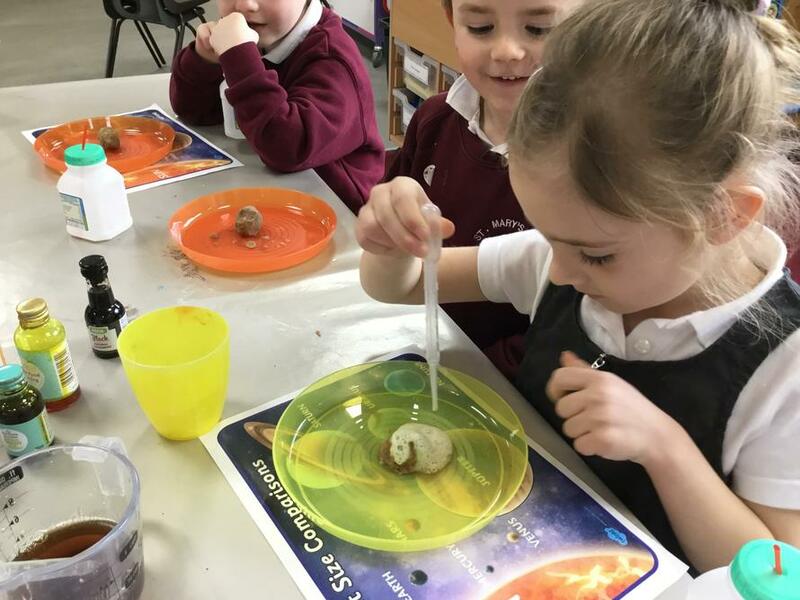 On Tuesday, we completed a science investigation called 'bubbling planets'. 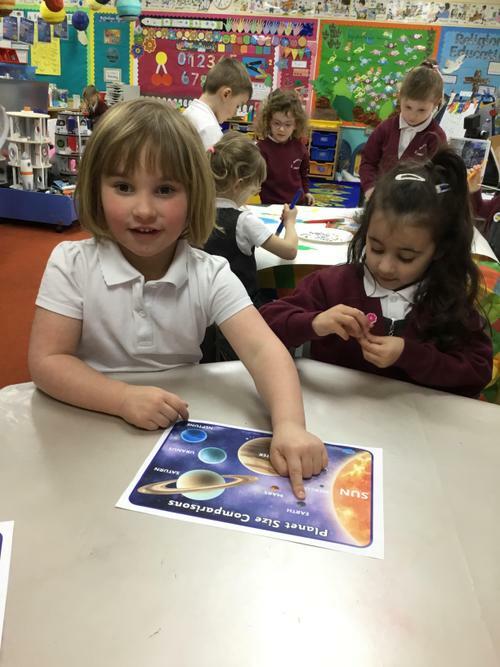 First of all we had to look at the planets and talk about them. 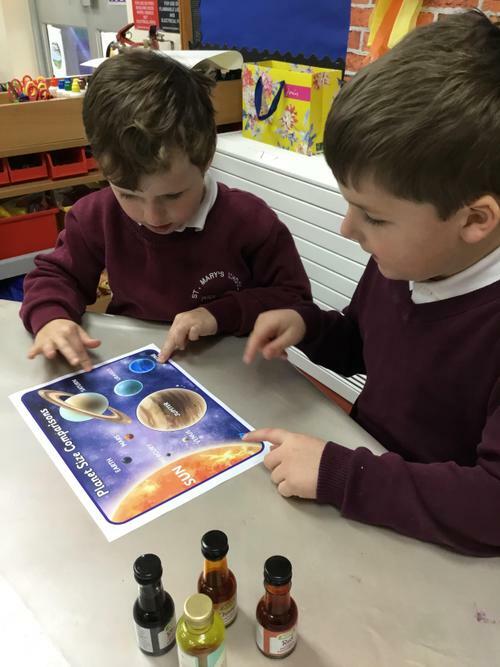 As a group the children decided to make a particular planet. 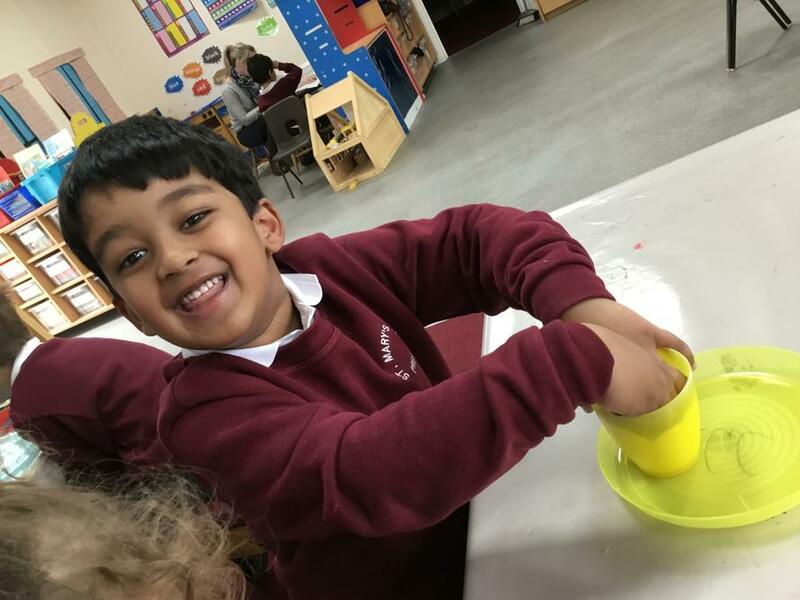 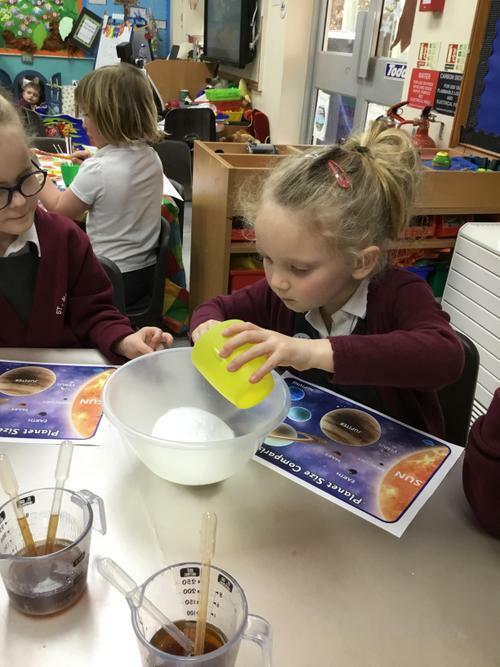 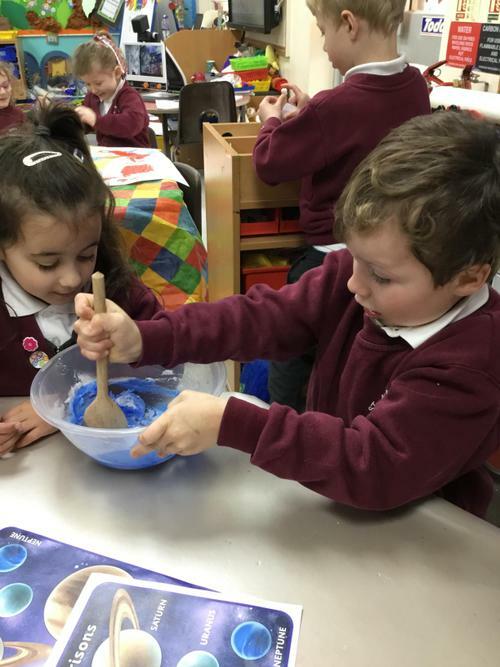 To make the planet, we had to mix a cup full of bicarbonate of soda and a tiny bit of water and mix it into a paste. 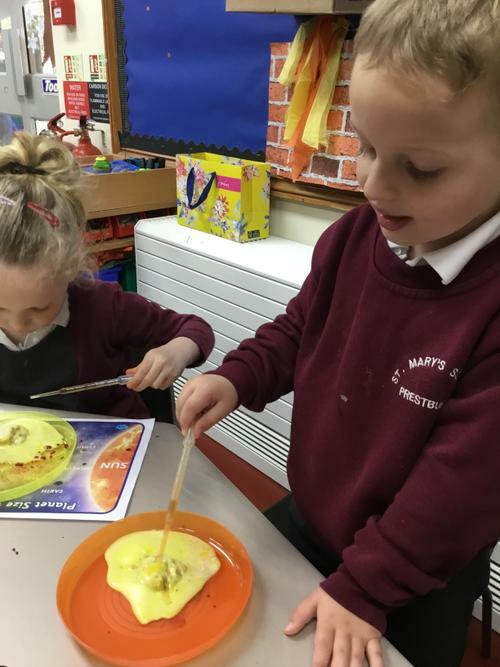 The children then had to manipulate the paste to make their planet and we discussed how it was a sphere shape. 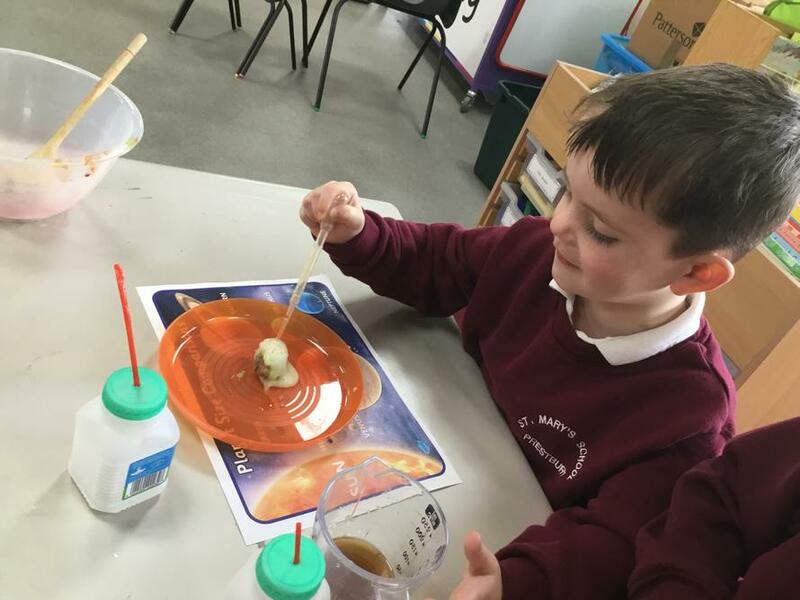 We then used a pipette to squeeze some vinegar (which the children did not like the smell of!) 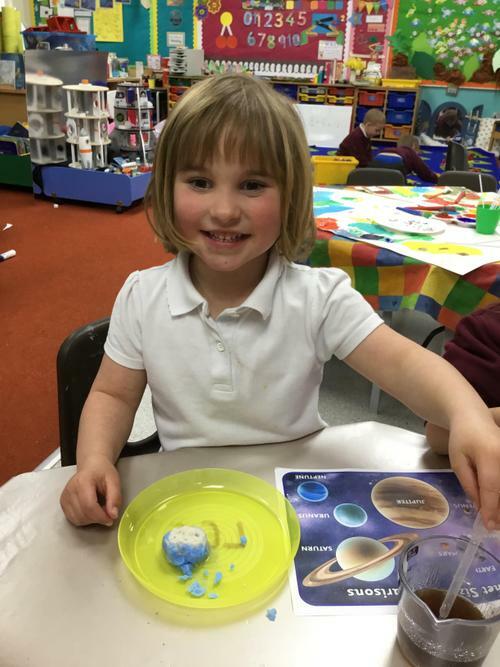 on top of the planet which caused a big and exciting reaction!